Bella is our beautiful little homebred girl out of Tilly and Z. Bella is a total devoted love bug - super athletic and super outgoing. She is a total replica of her momma aside from color :) 14.5" and 25lbs. 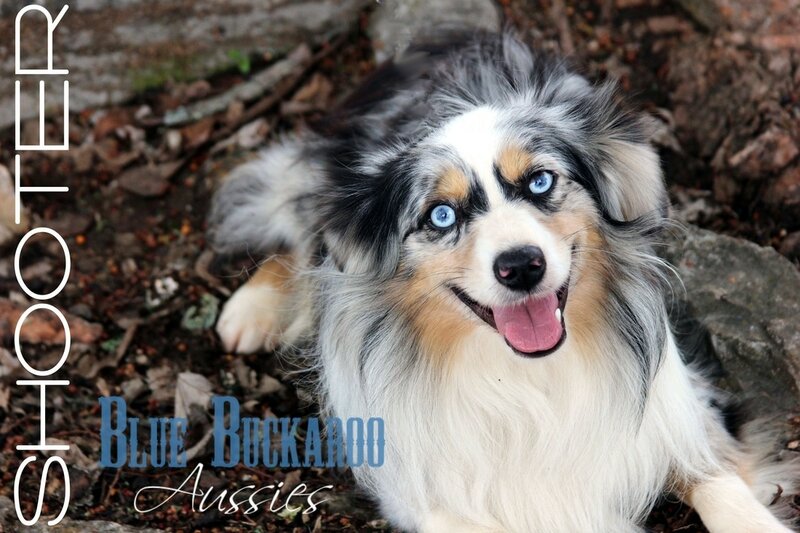 Blue Buckaroo Aussies is so excited to have Shooter as a part of our program. He brings awesome bone, structure and temperament to the table. He is our stellar little man in a small package - only 13.5" tall and 15 lbs. He has a wonderful temperament, great build and great expression. ASDR Registered. Beautiful red tri female. Nice symmetrical white blaze. Front white socks. Great copper. Approx 20lbs at maturity. Brown Eyes. 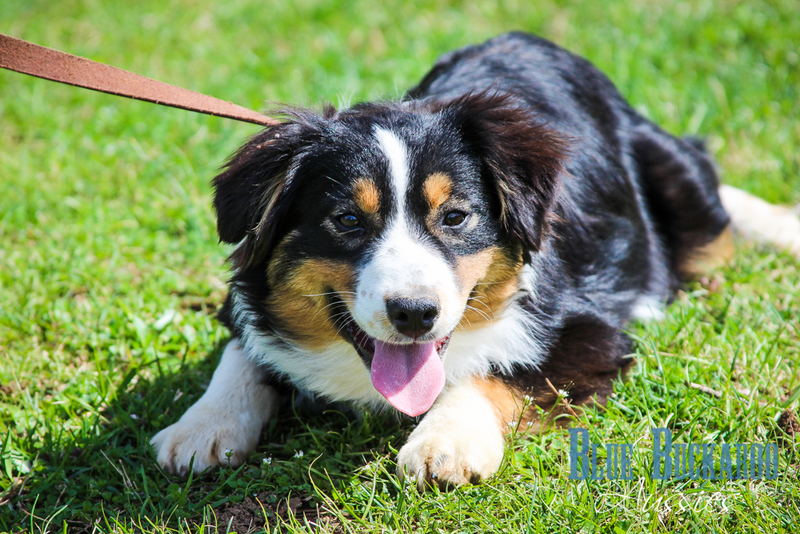 Stunning little blue merle female - you could not ask for a more beautifully marked up girl. Absolutely gorgeous and perfect. Great copper trim. Will be a show stopper! Approx 20 lbs at maturity. Brown Eyes. Reserved - Thank you Patrick and Kevin! Stunning red merle male - beautifully marked up boy. Great copper trim. Will be a show stopper! Approx 20lbs at maturity. Amber Eyes.